A Career in Management – D.A.R.E. 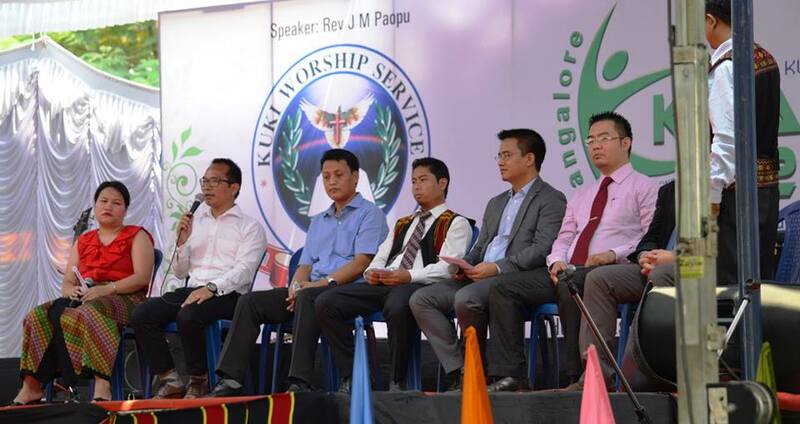 After the honour bestowed on me by the Core Committee of AIKWS Khanglai 2014 to be a member of the Panel Discussion during the recently held KHANGLAI 2014 at Bangalore, I have been receiving calls from many aspirants seeking inputs and suggestions with regards to a career in Management. Also, in line with my appeal to do ‘little things which can make big differences’ in my recent blog / speech – ‘3 Stories of My Life’ (which received an unexpected overwhelming response and encouragement to continue to write and share), I have decided to put together an attempt at some of these common queries (mostly based on my personal experience), with the hope that it might be of some help to the aspirants and hopefully enable them to make a more informed decision. I have structured this sharing in line with the KHANGLAI 2014 Panel Discussion – What, Why, How, When, Where, etc. WHAT – What does an MBA degree / course has to offer? To many, this very question might sound redundant and may even seem like an insult to intelligence. But, it’s an important question nevertheless – the understanding of what the course really has to offer and what can be expected in return would not only give an edge but also enable one to extract the maximum out of one of the most expensive degrees available today! So, what does an MBA program really has to offer? Let’s try and understand this by considering what can be typically assumed to be the ultimate destination of an MBA graduate – the CEO of a company. A CEO is responsible and accountable for the overall operations and performance of the company. Yet, he is not required to be the ‘know-all’ or a specialist in all the business functions. He is supported in his role by a whole bunch of specialists in marketing, operations, finance (Chartered Accountants), HR, etc. Rather, what is required to be an effective CEO are the general tools, tricks of trade and a keen understanding of each function to be able to appreciate the subtle implications of the information presented to him for the top-level decision making – whether it’s the balance sheet, P&L, sales chart or attrition rates; identify what is working and particularly what is not, and figure out how to make them work! But you don’t get to be a CEO straight after B-school (unless you decide to start/run your own business). Most MBA graduates spend a good number of years laddering up the organisation hierarchy in one (or maybe two) of the business functions, before eventually getting to the top position. The MBA programs offered by most B-schools attempt to cater to these two basic requirements. A keen understanding of the different business functions which a manager and a future CEO needs to equip himself / herself with is provided through the initial general management courses (or so called ‘core courses’) which provides exposure to basic concepts in marketing, finance, operations, personnel management, behavioral sciences, etc. This exposure is also invaluable for those planning to tread down the entrepreneurial path later on as it provides a holistic understanding of business, vital for incubating and successfully running a new venture. The latter part, where you get an opportunity to choose electives, provides you an opportunity to peruse in greater depth and detail the function or specialisation of your choice. The few electives are still in no way enough to make you a specialist. Yet, it provides the necessary base on which one can build a career in a chosen function / field within a corporate setup. Evidently, not all MBA graduates can hope to become a CEO (there are simply not enough companies to accommodate the MBA graduates each year). As a result, most MBA graduates spend their corporate career or atleast a significant part of it in their chosen function/specialisation, many of them retiring as functional heads or CXOs (CFO, COO, etc) – making the choice of specialisation or the field that one decides to pursue post MBA very critical! Like all career choices, one should take an informed decision based on one’s interests, strengths and goals. Given that most MBA programs today (except ofcourse for a few B-schools like IIFT, SP Jain, etc where you are required to select a specialisation right at the application stage itself) allows you to defer the decision till the latter part of the course, my suggestion always has been to initially approach the course with an open mind (particularly, for freshers with little or no corporate experience). One is better positioned to make an informed choice after the initial exposure through the ‘core courses’. A couple of years back, I ended up choosing a completely different field (finance) from what I initially set out to pursue, and so did many others! This is one question which draws a knowing smirk out of every MBA graduate and a rather philosophical question which every MBA aspirant grapples with as part of the GD-PI (Group Discussion–Personal Interview) preparation. Most coaching institutes, mentors and counselors would advise you to form a personalized / customized answer based on your personal background and experience. I am in complete agreement with them and as outlined in my answer to the question during my IIM Bangalore interview (details again in my previous blog/article – 3 stories of my life) I do sincerely believe that everyone has and should have a specific and personal reason for pursuing an MBA degree or any degree for that matter! Therefore, I would leave it to you to explore and discover that personal reason for yourself (if you haven’t found so) and focus here instead on some of the key broad/general reasons as to why one should consider acquiring an MBA degree. Firstly, an MBA degree has today become a ‘must have’ for anyone who aspires to reach the top-level management in any top-notch organisation. In a country which is so hung-up on academic credentials, an MBA from reputed B-school open doors to exciting job profiles and responsible positions in top-grade companies and also help speed up the corporate ladder climb (even where it is not a necessary prerequisite). Secondly, an MBA from a reputed B-school provides an opportunity to develop an invaluable professional network – your own batchmates as well as an alumni network spanning all possible sectors or businesses – with many of them eventually holding key positions in their respective organisations. The easy access to this chauvinistic tribe who will be more than willing to lend an ear or a helping hand to a fellow brethren (as compared to the others) comes in handy when looking for a career / job change, establishing business relationships or growing your own business! But most importantly, an MBA degree today provides an opportunity for faster career transition – particularly from technical (with relatively lower job profiles and pay packages) to managerial positions (with relatively more lucrative job profiles and packages). This is particularly true for engineers who after several years into a technical career, start feeling the need to outgrow a niche or jump start a new career. Perhaps this explains why engineers, particularly those with a few years of experience, represent a majority (upto 70-90%) of the CAT applicants every year! In my own batch of 249 students at IIM-B, 223 were engineers – representing a whopping 90% and the trend continues to hold even today! HOW – How to bell the CAT! Entry into most of the Indian B-Schools is currently through a two-stage selection process – the written test and the second stage comprising of the Written Ability Test (WAT), Group Discussion (GD) and Personal Interview (PI). Common Admission Test (CAT) is the written test for most of the top B-schools like IIMs, FMS, MDI, IIFT, SPJIMR, IITs, etc which has become a computer-based test since 2009. A few other B-schools conduct separate written tests – XAT (for XLRI, SPJAIN and XIMB), SNAP (for SIBM / SCMHRD), GMAT (ISB), and MAT (100+ B-schools). The written test comprises of questions in 4 areas – Quantitative Aptitude (questions based on basic maths upto 12th standard covering geometry, mensuration, algebra, trigonometry and co-ordinate geometry), Data Interpretation (analysis of data presented usually in the form of tables, charts and graphs), Verbal Ability (reading comprehensions, parajumbles and para completions) and Logical Reasoning. Based on the scores in the written test, each institute separately prepares a shortlist of students (using their own set of criteria) and invite them for the second stage of the selection process – WAT/GD and PI. The Group Discussion (which was traditionally used by the top B-schools including the IIMs) has recently been replaced with the Written Ability Test – which is basically an essay writing test, in line with the practice followed by many international business schools. Final selection is based on the performances in all the 3 tests – written test, WAT/GD and PI. Each institute has its own ‘final score’ calculation methodology depending on the weightages assigned to the 3 tests. For e.g. IIM Ahmedabad assigns a 50% weightage for PI, 40% weightage for the CAT score and a 10% weightage for WAT. Unlike other exams like JEE (erstwhile IIT-JEE), the written test (CAT) is not about toughness, but more of speed, accuracy and time-management. With less than 2 minutes available to answer each question in the current CAT format, the real test is your ability to manage and maximize – identify the right questions to attempt first and the questions to attempt last or maybe, leave. As future managers, you would be expected to prioritize and use the limited resources at your disposal in the most effective and efficient manner (time included) to achieve organisational goals. Hence, your potential as an effective manager gets tested right at the start! This, therefore, requires practice – much more than any of the other competitive exams you might have come across! Based on your back ground and experience, you can avail the right platform – coaching institutes like TIME, career launcher, etc or online portals like www.testfunda.com, www.mbauniverse.com, www.pfindia.com, etc to avail the best possible guidance and support in your preparations. I would recommend joining atleast a test series from one of the reputed institutes (at the bare minimum) if you want to take a serious shot at belling the CAT! WHEN – When is right time to acquire an MBA degree? One of the questions which I keep getting from aspirants is – when is the right time to pursue an MBA? Understandably, this stems from the fact that most of the Indian MBA courses (except for few institutes like ISB Hyderabad) are still work-experience agnostic – i.e. the course can be taken up by any graduate at any point in time. As a result, the range in terms of work-experience in the B-Schools also vary and could be very large in some cases – about 20-30% freshers (with zero work experience), 30-40% with a work-ex of less than 35 months and the rest with a work-ex of more than 35 months, including a few with 10+ years of prior work-experience. One important aspect one needs to consider is this – there is a slight disadvantage of being at the two extremes. Freshers with little or no work experience often fail to fully appreciate the practical aspects and implications of the theoretical concepts or relate many of the practical problems or situations presented by the case-study based pedagogy of the courses. At the same time, students with many years of experience often lack the agility and open-mindedness of the freshers, thereby often restricting the free flow of fresh ideas and unbiased perspectives. But most importantly, students with several years of prior work-experience in a particular field / sector often find it difficult to make a switch to another field or sector. This is because, companies in other fields / sectors fail to fully appreciate or offer them a commensurate premium for their prior work-experience in terms of the pay packages and job profiles – while they are more likely to leverage it to the maximum at companies in the same field / sector. So what is the right amount of work-experience? The general consensus and my own experience of campus placements at B-schools – both as an applicant and as a recruiter later on, suggest that the bell-curve peaks at about 2-3 years of work experience. Students at this stage are presumed (atleast by most recruiters) to have the most ideal balance between the two extremes (although there will always be few companies which prefer freshers for jobs that require creativity, commitment, etc or those which prefer students with more work-experience in a specific field, particularly in the lateral placements). Hence, given a choice and an option to plan, my suggestion would be to acquire about 2-3 years of work-experience after your graduation before investing in an MBA degree. WHERE – the right / ideal college? There is already a well-established preference or ranking – atleast among the top business schools – which makes this decision relatively easier for aspirants. However, there a couple of things one would still need to consider in this regard. Firstly, one year v/s two year course – while most institutes offer 2-year MBA programs, some institutes like ISB, Hyderabad and Great Lakes Institute of Management, Chennai offer 1-year programs. These 1-year programs are usually best suited for aspirants with significant work experience who are looking for a career-boost or add an extra edge to their qualifications. The 2-year programs are better suited for younger aspirants who don’t have a time crunch and want to explore – as it provides a better and a more comprehensive exposure, more time and opportunities to mingle and network with peers as well as a better overall preparation for the industry (through internships, exchange programmes, etc). Another important factor for consideration is your choice of specialisation. There are institutes offering specialized MBAs – rural management (Institute of Rural Management, Anand), agri-business (IIM Ahmedabad), forest management (Indian Institute of Forest Management, Bhopal), telecom management (IIT-Delhi), insurance management (NMIMS, Mumbai), human resource management (XLRI, MDI and TISS – although it’s actually an MA course and not an MBA), etc. These institutes are typically preferred and ranked top in their respective specialisations. Hence, if you are absolutely sure about what you want and are looking for a specific niche, you might be able to extract maximum value through the specialized MBAs offered by these institutes. Besides, the choice of college is not as clear-cut in the lower-rung B-schools – where the preference or ranking gets little fuzzy. The ideal method here would be to try and connect with an alumnus of these schools, which ofcourse is not always possible. Hence, what I often find useful is to evaluate the alumni profile (which is still one of the best yardsticks to compare B-schools) by using professional social networks like LinkedIn. Finally, the MILLION DOLLAR QUESTION – Is the degree really worth the cost?? With the frequent increase in fees during last couple of years, MBA courses have indeed become very expensive and a big notch higher as compared to any other degree / qualification. Some of the aspirants are most often discouraged and even end up postponing their MBA plans due to financing concerns. This concern is particularly high in case of the lower ranked B-schools where there is lesser guarantee of lucrative placements. While it’s a rather subjective call, one general test which I would like to propose is this – if an MBA degree from an institute can offer you a first year CTC (cost to company) of atleast 70-90% of the course fee, it’s definitely worth it! In other words, if the average or the mean salary expectations (based on past placements) for the college is atleast 70-90% of the course fee, it’s a definite go! In terms of repayment, this means a repayment period of about 4-5 years. The repayment duration is a direct interplay between the course fees and the expected average annual salaries – which can range from 1-3 years in Tier-I B-schools to over 10 years in Tier-III B-schools. Ofcourse, it’s not always a simple math at the end of the day and the answer also depends on a whole host of other factors – opportunity cost of foregoing an existing income stream (for those already working), non-monetary goals of acquiring the degree, etc. In any case, with the education loan easily available for students securing admissions in most of the well reputed B-schools – once the decision is made – financing should be the least of concerns and not something that should get in the way of pursuing a career in management. There is an old joke about Bangalore which surfaced during the initial years of the IT boom and the resultant emergence of the city as the new found IT capital of India – “If you throw a stone at a dog in Bangalore and miss, you would most likely hit a software engineer!“. The joke could soon apply to MBA graduates as well – given the large number of MBA institutes being set up in every nook and corner of the country. The increase in intake in the existing top institutes like IIMs as well as additional IIMs being set up has also led to an increasing supply of management graduates – making securing a lucrative placement that much more difficult, particularly during periods of muted economic growth (for a first hand experience, you can speak to anyone who graduated in 2009, in the aftermath of the US sub-prime crisis – myself included!). Nevertheless, an MBA degree still offers the best return on investment and given where India is currently headed in terms of economic growth, its no doubt a valuable qualification to invest in – just that, an informed decision always goes a long way in preventing future disappointments due to a mismatch between reality and expectations! U Francis when I was at my 11th standard (january 2013) I participated a career guidance program organized by a coaching institute at B.Vengnom community hall. In there you were one of the resource person and I asked you about the MBA program and you told me that it will be easy to go through CAT if you have technical knowledge (say engineering) since then I tried to get through JEE, although it wasn’t my first choice, but I was unlucky enough to get a seat in all the nit’s and iit’s even though I clear the cut off marks so I just go for BBA. As I have opted for BBA I really need you to help me by suggesting some steps of how I should prepare to clear CAT , WAT/GD and PI so that I can get a top b school in India. Like what you had said to your interviewer that you want to be a role model for your community, you really are my true role model. Looking forward for your suggestion. And thats a really helpful post of your’s up there. It’s good to have a person like you in our society. John, thank you very much for your generous comments and nice to chat again! Let me begin by discussing a bit about engineering students having a little edge. As you can see from the post, CAT is about aptitude and analytical ability. Hence, engineering students who have gone through the entrance exam preparations and then deal with such aptitude or analytical based situations throughout their course – in general – tend to develop a better flair at handling such a test! However, this does not explain why engineers represent a huge majority in the B-schools – the number of applicants with engineering background is also equally high, apparently for reasons discussed above. But most importantly, this is just a ‘good to have’ and not at all a critical credential to crack CAT. Firstly, the concepts involved are 10-12th standard and you already have an advantage of having gone through the engineering entrance exams. Secondly, its a skill which can be picked up – maybe, just a little more practice and joining a coaching institute (which i personally feel would not have been required otherwise). Lastly, some B-schools like IIM-C and XLRI have started tweaking the admission process to give a little preference to the non-engineering aspirants in an attempt to achieve more diversity in the classrooms. Also, on a lighter note, once you are inside the campus, being a non-engineer is many-a-times a USP (unique selling point) in a engineer-dominated community! – Scan through the concepts, particularly in QA and DI and try solving some of the problems. You will be able to decide whether to join a coaching institute or not thereafter. If you are not sure after this, i guess you should 🙂 ! – In case you decide to go for it, you can join either join TIME or CL for the CAT preparations, which will generally include a ‘test series’ in the package and usually a free package for WAT/PI in case you get interview calls from IIMs. Hope this helps. Please feel free to shoot any further questions, anytime! U Francis thank you very much for your kind suggestion. I was just an empty page who started his journey for his goal without any knowledge of how to reach it. Now you filled most of my page and I know that your kind suggestion will be really helpful in future and I am truly in debt of it. Most institutes in general offer two kinds of programmes – a 1-year and a 2-year programme (although some institutes also offer a crash course of about 4-6 months duration). In my opinion, one year of dedicated preparation is sufficient to crack the exam – that means, a 1-year programme in the final year of your BBA should be ideal. However, there is no harm in starting the preparations early, particularly if you expect a heavy work-load in your final year of BBA – in which case, you can also opt for the lesser intense 2-year programme in the 2nd year of your BBA itself. The course fee and starting dates varies for different cities & programmes. However, given that CAT exam is conducted between Oct-Nov each year, classes usually kicks off 10-12 months before that. Also, the course fee currently varies between INR 25,000 to about 50,000 (with fees higher for big metros like Delhi and slightly cheaper for the smaller cities). Very well written. I still cannot thank you enough for helping me out during each stages of my interview process. I’m sure you are already a role model to many. God Bless. Thanks for the kind words! The honour was all mine 🙂 ! Again thank you very much U Francis for everything you had told me. It was always a dream for me to take suggestion from you since i know you and now by God grace that dream comes true. It is great to have a role model like you. Once again thank you very much and may the good Lord bless you in your future. Thank you. Always a pleasure…best wishes for your preparations…feel free to ping me anytime!! okay, until next time God be with you. Thanks for posting it again here..an important point…aspirants may kindly take note of this! Pingback: A Career in Fashion Designing | D.A.R.E.